CATHOLIC GIFT SHOP LTD - Blue Baby Plush Lamb with Blanket. Blue Baby Plush Lamb with Blanket. 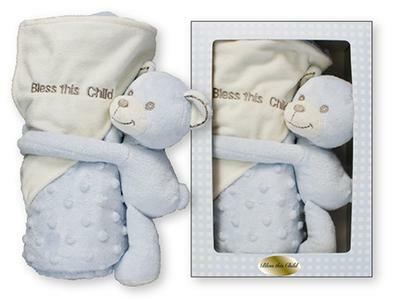 Double layer blanket with " Bless This baby " embroidered on the cover, size: 75 cm x 100 cm and comes complete in a gift box.